You’re suffering from heavy menstrual bleeding; your doctor calls it menorrhagia. You don’t really care what it’s called, as long as it can be resolved. Today, an exciting new breakthrough offers you a treatment that is at once quick, simple, safe and complete. The NovaSureTM Impedance Controlled Endometrial Ablation System features rapid treatment time, excellent safety record, no required pre-treatment, high success rate, and fast recovery time. This is a treatment that can finally stop the heavy bleeding so that you can go on with your life. Menorrhagia is excessive menstrual bleeding. If your bleeding lasts seven or more days per cycle, or is so excessive that you need to change protection nearly every hour, you may have menorrhagia. Only your doctor can tell you for sure. Women suffering from menorrhagia can experience fatigue, anemia, embarrassing accidents, and restricted activity. If you’re familiar with these effects, you know that menorrhagia can disrupt your life. And you are not alone. 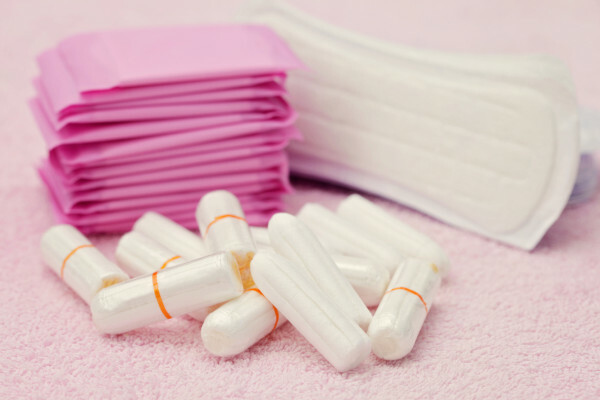 About 1 in 5 women experience unusually heavy menstrual bleeding. And there are now more treatment options available to you. Drug Therapy is typically the first treatment option, consisting of oral contraceptives or other hormones that treat hormonal imbalances. This therapy is effective only about 50% of the time, and usually must be continued in order to remain effective. Some women have undesirable side effects, including headaches, weight change, and nausea. Dilation and Curettage (D & C) is frequently the second option if drug therapy is ineffective. It is a common surgical procedure that involves scraping of the inside of the uterus. However, for the majority of women with menorrhagia, it is only a temporary solution that reduces bleeding for a few cycles. Endometrial Ablation. If you do not plan to have any more children, your doctor may suggest minimally invasive surgical treatment options. Several methods are currently available. A new generation of endometrial ablation devices is now available. Some devices destroy the endometrium by using heated fluid. Others use freezing temperatures to destroy the tissue. There is also a system which uses a precisely controlled dose of electrical energy. Hysterectomy, or surgical removal of the uterus, is the only definitive treatment for menorrhagia. Hysterectomy is a major procedure, performed in the hospital under general anesthesia, and is accompanied by surgical risks, hospitalization, and, depending on the technique used, a recovery period of up to 6 weeks.